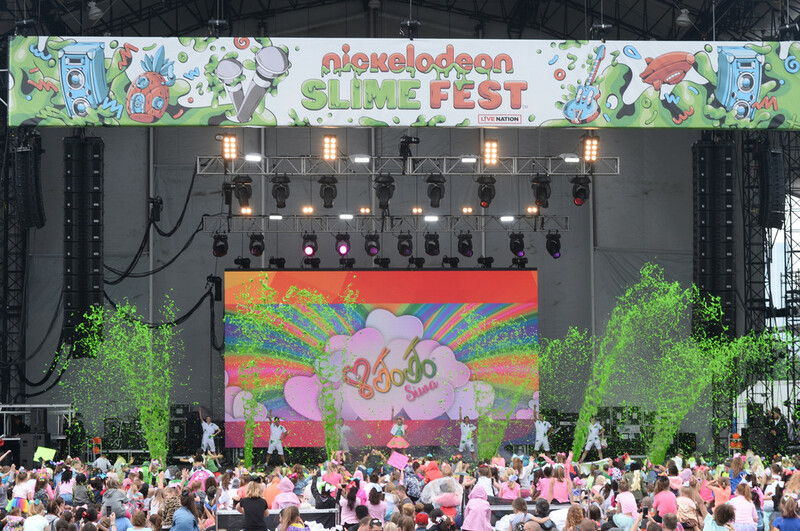 Nickelodeon USA has announced the aweslime news that, following the tremendous success of the first Nickelodeon SlimeFest in the U.S. in June, Nickelodeon's multi-day music festival for kids and families will return in 2019! 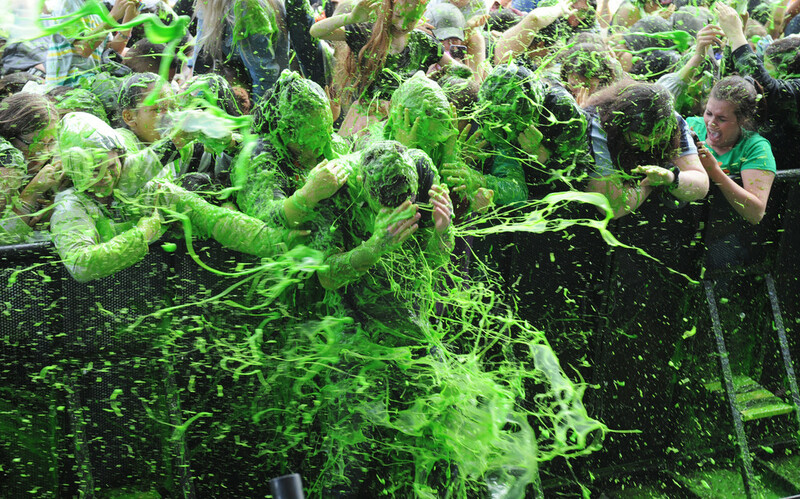 Nickelodeon SlimeFest is a multi-day immersive event for kids and families of all ages. Nickelodeon SlimeFest 2018, held on Saturday, June 9, and Sunday, June 10 at Huntington Bank Pavilion at Northerly Island in Chicago, Illinois featured musical performances by Grammy-winning artist, DJ and producer Zedd, chart-topper Liam Payne, multi-platinum artist Flo Rida, and Lip Sync Battle Shorties and social media star JoJo Siwa, as well as special appearances by a raft of popular Nickelodeon stars, including Kel Mitchell and Benjamin Flores Jr. (Game Shakers), Riele Downs and Ella Anderson (Henry Danger), Breanna Yde (School of Rock), and Daniella Perkins and Owen Joyner (Knight Squad), as well as character appearances from SpongeBob SquarePants and the Fairly OddParents, plus immersive one-of-a-kind experiences and plenty of the network’s signature green slime - presenting the audience with tons of opportunities to get covered in Nickelodeon's iconic goo! 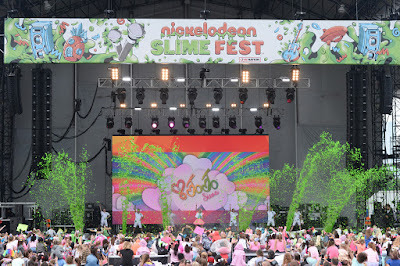 Nickelodeon's second annual Nickelodeon SlimeFest will once again take place in Chicago, IL (venue TBD) between Saturday, June 8 and Sunday, June 9. The first act confirmed to be taking the stage at Nickelodeon SlimeFest 2019 is Nick superstar JoJo Siwa, who will be performing at the event as part of her just announced live concert tour, Nickelodeon’s JoJo Siwa D.R.E.A.M. The Tour! Nickelodeon SlimeFest has seen success around the globe as a slime-filled, multiplatform music and entertainment event since its inception in Australia in 2012. The event has expanded year over year and currently takes place in additional markets including the U.K., Spain, Italy and South Africa. For more information, including when tickets will go on sale and to sign up to the SlimeFest 2019 mailing list, visit http://www.nickslimefest.com. Check out your favorite performances from 2018 SlimeFest, including JoJo Siwa, Liam Payne and Flo Rida, below! Are you looking forward to Nickelodeon SlimeFest 2019? Let me know in the comments below! More Nick: Nickelodeon Superstar JoJo Siwa Announces First-Ever U.S. Concert Tour and First EP Release! Follow NickALive! on Twitter, Tumblr, Google+, via RSS, on Instagram, and/or Facebook for the latest Nickelodeon and SlimeFest 2019 News and Highlights!